I know what you’re thinking. You’re thinking this is a DIY/craft blog and you’re sharing baby products. 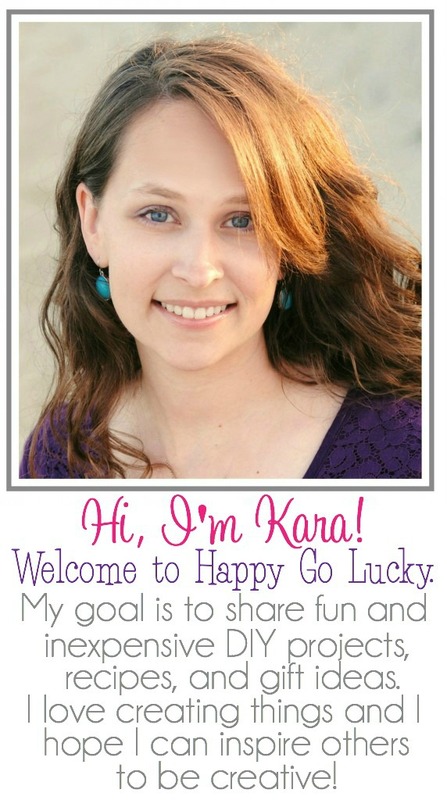 Well, I just have to pop in and share another favorite baby product that I couldn’t live without. Connor hated his baby swing so when I found out I was pregnant I told everyone we didn’t need a swing. I was pretty adamant about it and refused to spend any money on products that we wouldn’t need especially a baby swing. But just like the video baby monitor, I was wrong! It’s definitely true when they say that every baby is different. Easton is a completely different baby than Connor was for many reasons but one of the biggest differences is how much Easton loves his mamaRoo baby swing. We were at my friends house and she had the 4moms mamaRoo baby swing. Not only did I fall in love with the way it looked but as soon as I put Easton in it, he immediately loved it. I can’t even explain to you how much he liked it. 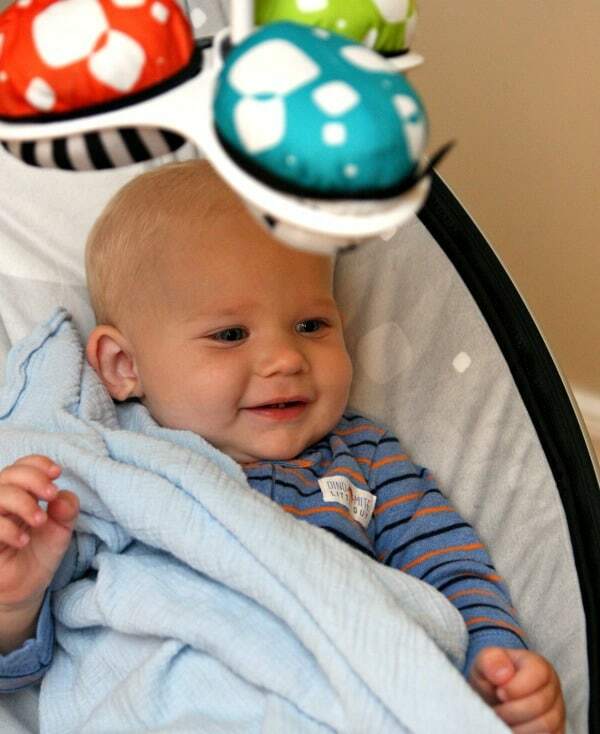 Connor would cry anytime you even tried to put him in his swing but Easton is perfectly happy just swinging away. I can get so much done while he is in his mamaRoo baby swing. Even now that he’s 11 months old, he loves to drink his bottle in it and just chill. He still gets fussy every night around 6:30. It’s that time between dinner and bedtime where he’s tired but it’s too early for his bedtime. Guess what keeps me from going crazy? The mamaRoo baby swing. I can just put him in his swing and he’s good to go for an hour. 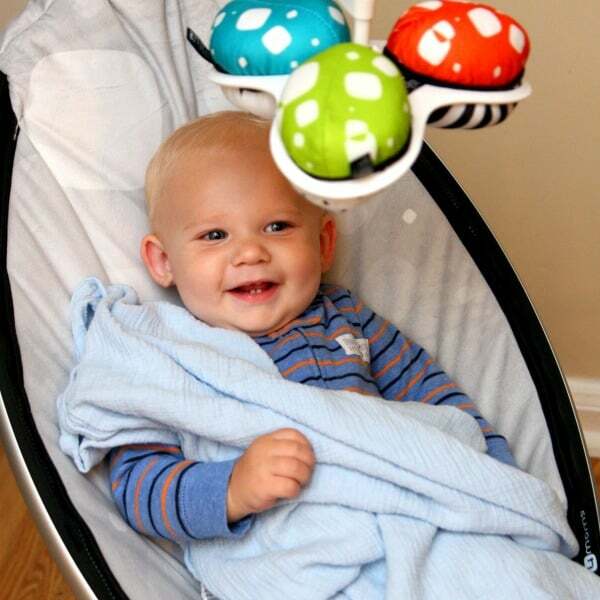 The 4moms mamaRoo baby swing bounces up and down and sways from side to side. The mamaRoo baby swing features five unique motions and five speed options. Soothe your baby with one of the four built-in sounds, or connect any MP3 device to the mamaRoo. The seat offers full recline to allow baby to lie back and relax or sit up and play. The mamaRoo baby swing is available in two fabric options: the plush seat fabrics (multi, designer, and silver) have a soft, velvety surface; the classic seat fabrics (grey and black) have a smooth, woven surface. Both seat fabrics are machine washable. 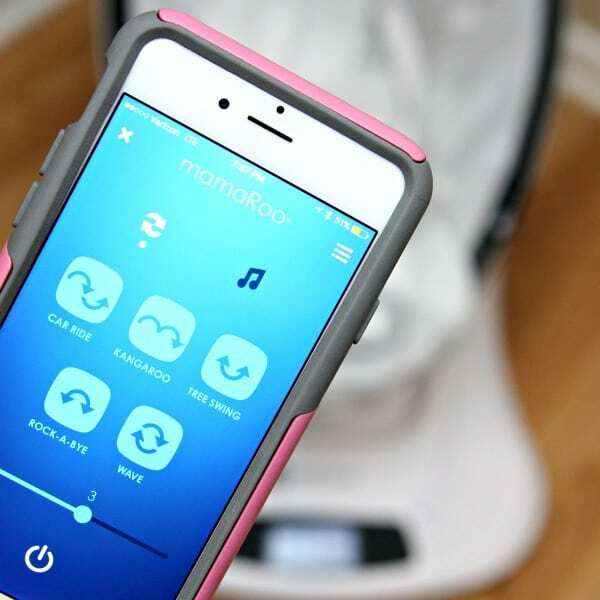 There’s an app for it – The app allows you to control the motion, speed, sound, and volume of the mamaRoo baby swing from compatible iOS and Android devices. Does it really get any better than this?! And it helps that Connor loves to read him books and play with him while he sits in his swing. 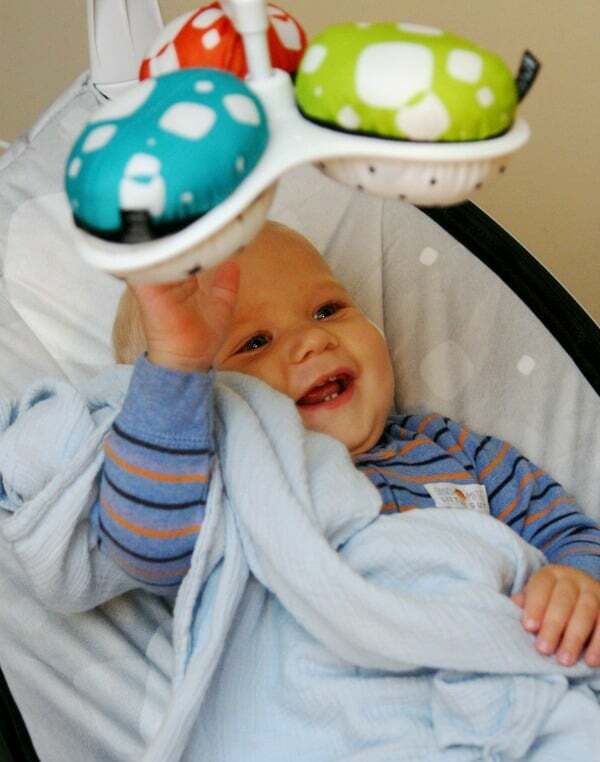 Do you have a mamaRoo baby swing? Does your baby love it? Are you wondering if you need to add one to your baby registry? The answer is YES! 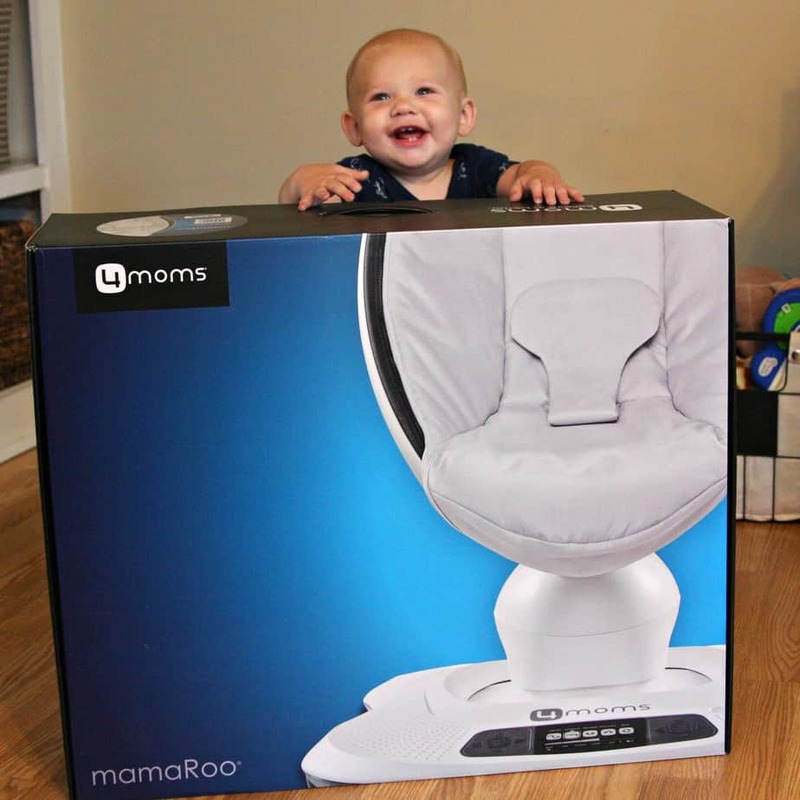 Visit 4moms to learn more about the awesome mamaRoo and sign up HERE for the latest 4moms news, including products and giveaways. I also have a cute video of Connor reading a new book to Easton tonight right before bedtime. You’ll have to excuse the dark video but it was just too cute not to share. Previous Post: « Do I Really Need a Video Baby Monitor?